The gigantic C-5M required six fuselage jacks to hold it: each jack can hold 60 tons, over all providing support for 720,000 pounds. 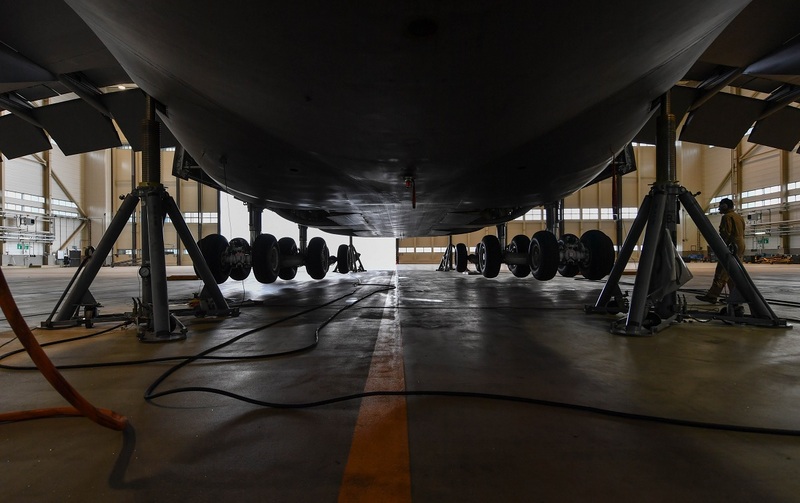 Taken on May 3, 2017 at Ramstein Air Base, Germany, the curious images in this post feature a C-5M Super Galaxy airlifter from Travis Air Force Base (AFB), Calif., resting on six fuselage jacks for main landing gear because the aircraft number four main landing gear malfunctioned during the aircraft’s landing at Ramstein. 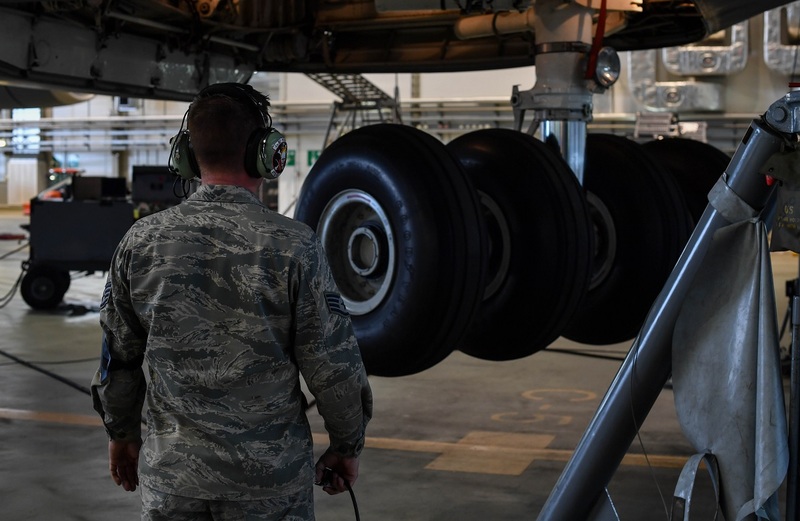 Mardirossian worked alongside Airmen assigned to the 721st AMXS to jack, inspect, and repair the aircraft’s landing gear. Noteworthy as it can be seen the gigantic C-5M required six fuselage jacks to hold it, two in the nose, two in the middle, and two in the aft. Each jack can hold 60 tons, over all providing support for 720,000 pounds. 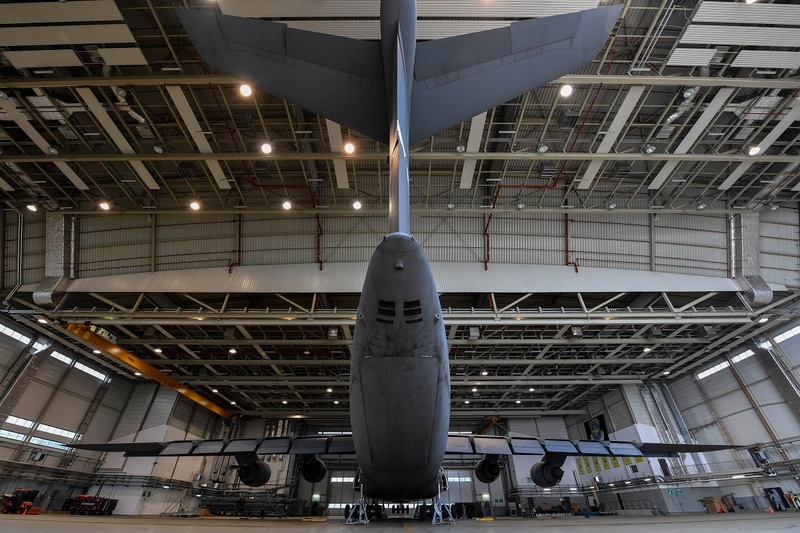 A typical C-5 weighs 415,000 pounds, but six jacks were used for stability. 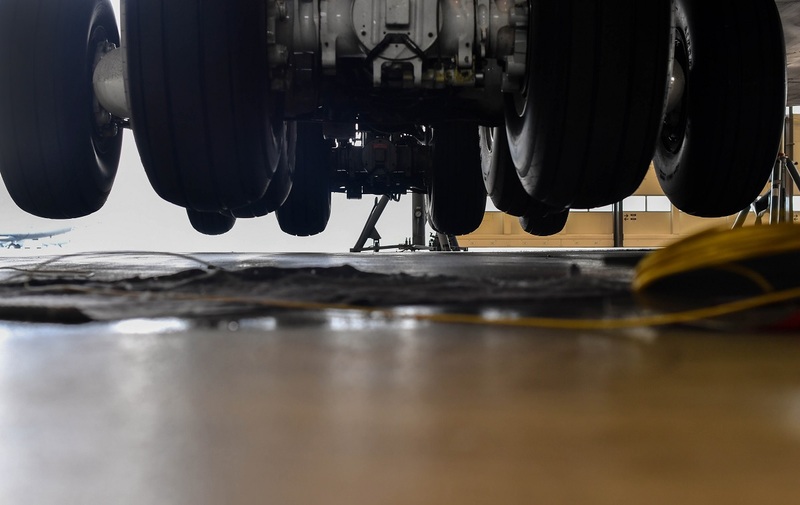 Upon inspection, the 721st AMXS and 60th AMXS Airmen determined the landing gear needed a new handle. They installed it and proceeded to perform a function check on every gear. 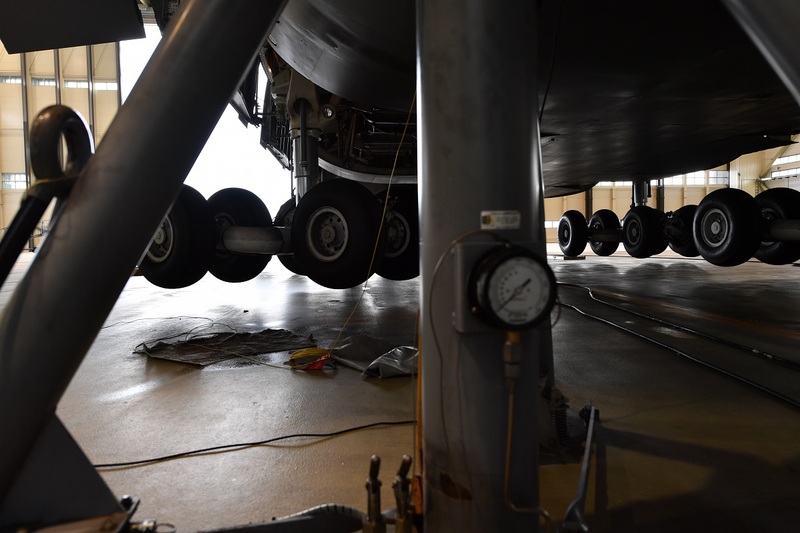 For a C-5, the nose landing gear is allowed 20 seconds each to extend and retract, while the remaining four gears are allowed 22 seconds to extend and 17 to contract. The next step was to check the caster function, which allows gears to turn left or right, for the nose and aft gears. They turned the nose gear to extreme left and right, and the two back gears were turned left, center, and, right simultaneously and individually to ensure they could reach the required 20 degrees. It has been over a year since the 721st AMXS has had a C-5 raised on a full fuselage jack.